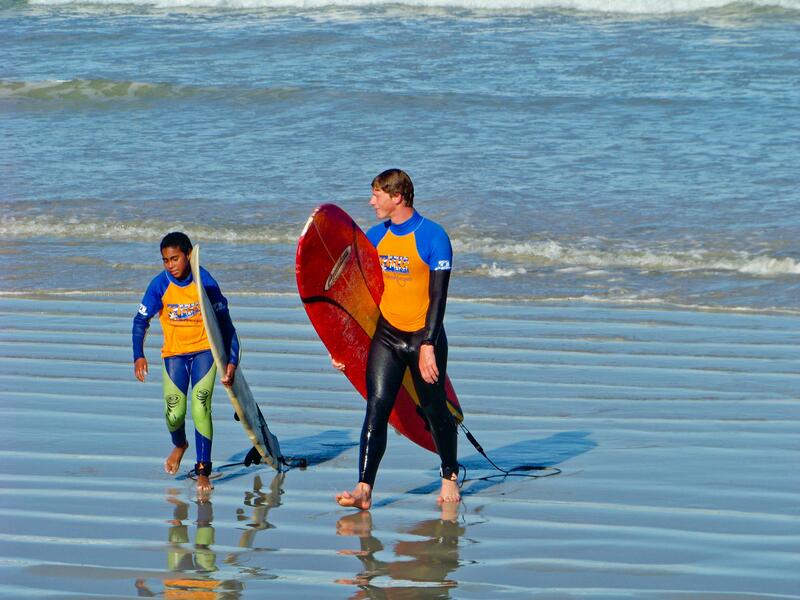 Volunteer as a surfing coach in South Africa and work with disadvantaged children and adults at a local beach. You’ll focus on teaching your students to swim and surf. It’s all part of our ongoing efforts to support community development. You’ll also work with disabled children, so we’ll teach you different occupational therapy techniques. The people we work with come from communities that struggle with issues of drug abuse, domestic violence, and gang-related activity. Some are also former delinquents. Surfing becomes a way for them to develop their fitness, and learn about teamwork and the benefits of living a healthy lifestyle. You will also provide surf therapy to disabled children. You’ll live and work in beautiful Cape Town, and stay with a local host family. You’ll mainly be based in Muizenberg, a small beach-side suburb of Cape Town that many consider the birthplace of surfing in South Africa! Is teaching surfing in South Africa right for me? 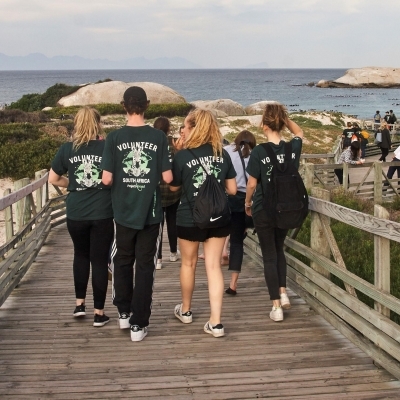 Our Surfing Project in South Africa is a great option for you if you’re interested in surfing and want to help people develop through sport. You’ll spend plenty of time outdoors, and you’ll get to do lots of surfing yourself. Teaching surfing is a way for you to support local communities, and add practical coaching experience to your CV. 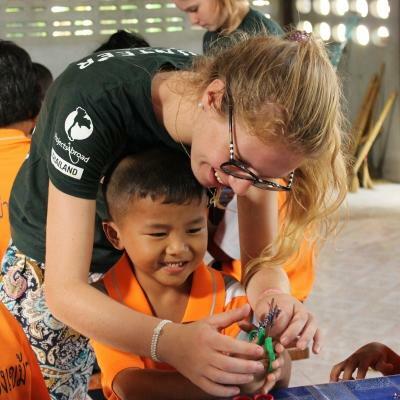 You’ll also hone your leadership skills, as you’ll have a mentoring role with children at the project. You don’t need any previous experience to join. If you don’t know how to surf, we’ll teach you. However, you do need to be a strong swimmer. We’ll also teach you everything else you’ll need to know to teach surfing in South Africa. You’ll work under the supervision of a qualified International Surfing Association (ISA) surfing coach. This project runs throughout the year, and you can join any time for a minimum of one week. 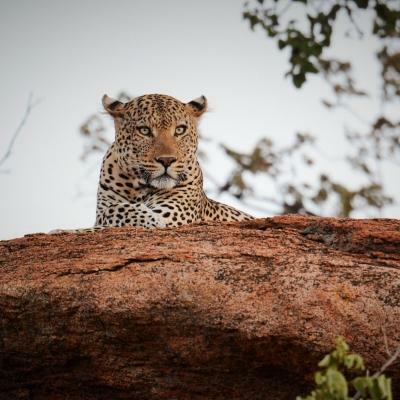 However, it is recommended to stay longer, as you’ll have a bigger impact on the people you work with. 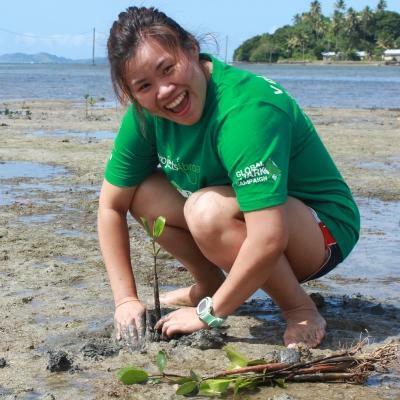 Run educational workshops on environmental education and nutrition. Your main role as a surfing coach in South Africa will be to plan and run surfing classes for disadvantaged children and adults from local communities. You’ll teach them to swim if needed, and develop their ability to surf. You’ll also share knowledge about the importance of protecting our oceans and marine ecosystems. On Friday mornings, you’ll spend your helping to update our records and logging the progress of our participants. One of our project partners is a local non-profit that works with disabled children. The children have conditions like autism, Asperger’s syndrome, cerebral palsy, and Down’s syndrome. Our partner will train you in different occupational therapy techniques. You’ll use these methods to work with disabled children for three sessions a week, helping them learn how to surf. Teaching surfing in South Africa can be affected by unpredictable weather and surf conditions, especially in the winter months between June and September. If the weather is bad or surfing isn’t possible, we make alternative arrangements for activities away from the beach. 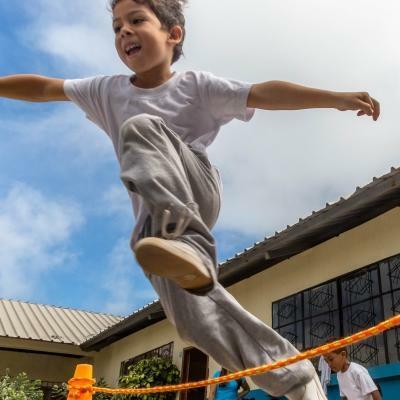 These activities could include arts and crafts, games, and workshops. These workshops can include various topics like nutrition and further environmental education. You can also speak about litter, and how it affects marine life alongside beach clean-up and recycling activities. You will be based in Muizenberg, Cape Town. The city’s coastline has an abundance of surf spots, from coves with small, gentle swells, to expansive beaches with bigger waves. Muizenberg is tucked in the elbow of False Bay. The gentle sloping sandy beach and consistent waves make it one of the safest and most user-friendly beaches in the world for beginner surfers. The surf is good year-round and the north-westerly winter winds create an ideal swell with gentle lines and long rides. You’ll start your day with breakfast at your host family, and take public transport to your placement. On your first day, Projects Abroad staff will accompany you to show you the way. A typical work day starts at 10am with preparation for the morning session. The first groups start at 10:30am and will continue until 12:30pm. There is a midday break where you can have lunch and fit in some surfing for yourself. You can also assist with surfboard maintenance or plan ahead for the afternoon activities. Our afternoon groups arrive at 3:30pm. During these sessions, you’ll coach people in the water and on the beach, working under the supervision of a qualified ISA surfing coach. Fridays are free days for your own surfing and data collection for the week. You are also encouraged to take initiative and suggest activities for the children. 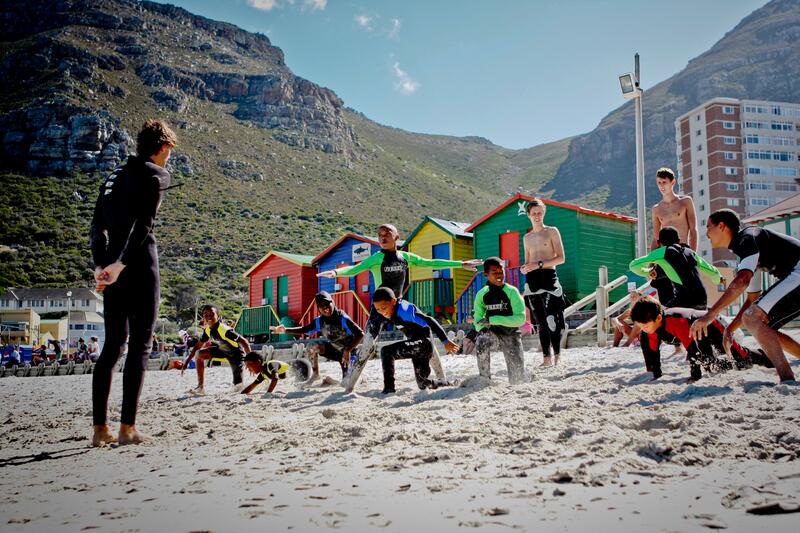 The main aim for this project is for you to help support local communities through teaching surfing in South Africa. 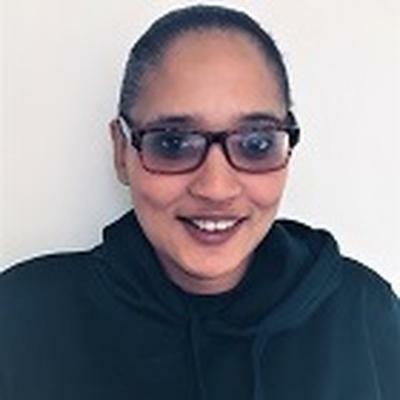 The people we work with come from communities that face challenges like high crime and unemployment rates, drug abuse, and domestic violence everyday. They have limited access to education and resources, and don’t have the opportunity to get involved with expensive sports like surfing. 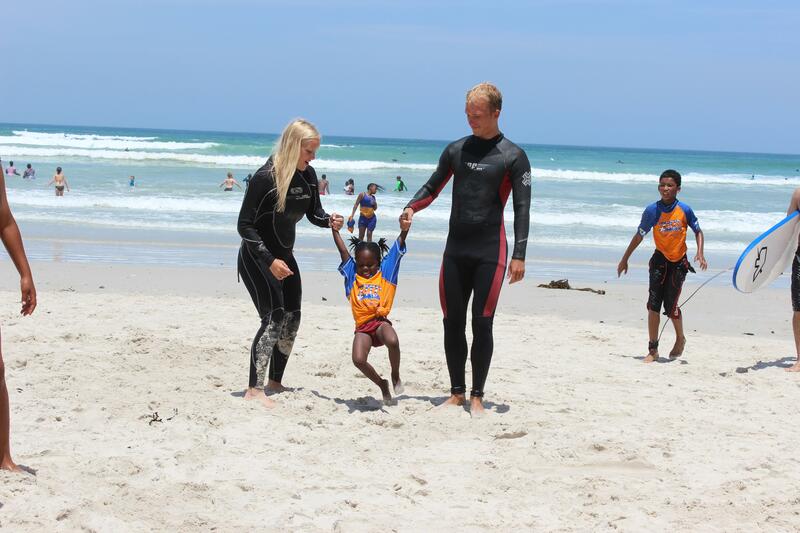 We also work with disabled children, providing them with occupational therapy treatment through surfing. We need the help of volunteers like you to reach as many people as possible. You’ll support the people who attend surfing classes, and help them develop their fitness and ability. You’ll also have a mentoring role with the children and young adults. Join our Surfing Project in South Africa, and help us introduce more people to the sport of surfing. Never before had I had the opportunity to show someone, let alone, a child with very little, both the physical and mental affect which surfing can have.